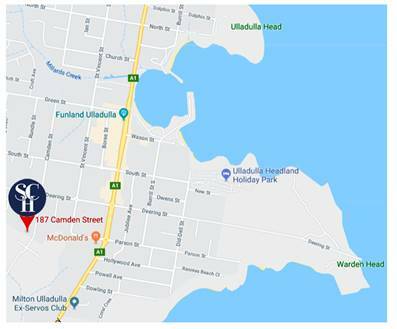 South Coast Hospitality (NSW) is proud to be a part of the vibrant community of Ulladulla and they are pitching in to support another spectacular event in 2018. For the entire month of March, they will be donating 10% of their total sales made to the local community to this year’s Blessing of the Fleet Festival. When valued customers support our local business, they’ll be supporting this wonderful event. South Coast Hospitality (NSW) are thrilled to have this opportunity to give back to our community. And we encourage other local businesses to join us in getting behind the greatest festival on the South Coast. Raine & Horne Mollymook Milton is doing its bit to ensure Ulladulla’s iconic Blessing of the Fleet Festival stays afloat. The sales team is hoping to raise up to $10,000 for the festival over the next three months by donating $200 from every house listed and sold from January to March to the committee. Raine & Horne principals Tony Hopper and Ben Pryde said the sales professionals were happy to put their hands up to ensure the festival could go ahead in 2018. “It’s such a magnificent even for our town and something that many of our team has been involved in,” Tony said. Members of the Raine & Horne team have been Blessing of the Fleet committee members and many have taken part in the parade. Ben said making a donation from each sale was a great way for Raine & Horne to continue to support the local community. “We’re sponsoring two Blessing of the Fleet princesses and many of our kids will be involved in the parade. Tony said, with an office on the harbour overlooking Ulladulla’s fishing fleet, it was fitting for Raine & Horne to come to the party. Ben said anyone thinking of selling their home should jump on board now to increase their chance of selling before Easter and contributing to the festival coffers. For a free appraisal call the Raine and Horne office in Ulladulla 4455 3800 or Milton 4454 1900. Photo: Rotarian John Payne (left) and Blessing of the Fleet Committee members Phil Brown and Leonie Smith are excited to have gained the financial support of Raine & Horne principals Tony Hopper and Ben Pryde along with the local sales team Ally Mitchell, Paul Chappell, Rob Granger, Scott Dundas and Katrina Condie. The Blessing of the Fleet is an annual event held every Easter Sunday. It is a very special time of the year. Not only is it the most holy Catholic time of the year, but it is also a time when families and friends get together to enjoy the Easter holidays here in Milton Ulladulla. A big part of this enjoyment in the Shoalhaven area is the Blessing of the Fleet Festival with its parade, entertainment, stalls, food, exhibitions, games rides and spectacular fireworks in the evening. We truly have a wonderful community as there are so many worthwhile causes calling on funds each year and, each year, the community gives and gives. We have been truly fortunate this year to have our major sponsors, the Shoalhaven City Council, the Milton Ulladulla Ex-Servos Club and funding from the NSW Government. For the 8th year in a row the Milton Ulladulla ExServos Club is pleased to be involved with the Blessing of the Fleet festival, for the 2018 Festival by an increased commitment of $10,000 with a platinum sponsorship. 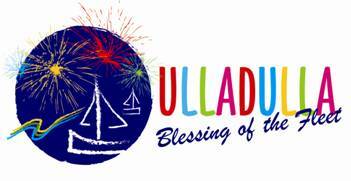 So don’t miss our Ulladulla spectacular annual Blessing of the Fleet Festival on Easter Sunday 1 April 2018, one of the biggest festivals on the South Coast. There will be a myriad of colour for the Milton Ulladulla Ex Servos Club Blessing of the Fleet Parade for the start of the day with the wonderful and imaginative floats with the festival’s princesses and their partners. 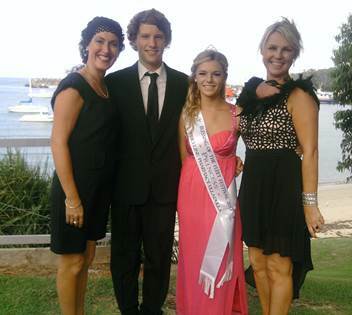 The Horizon Credit Union Ulladulla Princess Ball is being held at the Ulladulla Civic Centre on Saturday 17 March. “What better way to celebrate our community than to be a gold sponsor of the biggest event in Ulladulla. We’re thrilled to be a part of it” said Ulladulla Branch Manager, Kevin Whitford. Horizon will be sponsoring the Blessing of the Fleet Princess Ball on Saturday 17 March 2018. Some of the other Festival sponsors and events are the Bannisters Hotel Apex Beach Games, Mollymook Golf Club and Priceline Pharmacy Ulladulla Fireworks and the Ulladulla Fishermen’s Co-operative Society Blessing of the Fleet Ceremony, Marlin Hotel Family Carnival, South Coast Hospitality and the Milton Ulladulla Times Newspaper. And new to the 2018 festival is celebrity Denise Drysdale as a Gold sponsor. Many other local businesses have got behind the 2018 Ulladulla Blessing of the Fleet festival including other gold sponsors the Marlin Hotel, Milton Ulladulla Times In addition to the Milton Ulladulla Bowling Club, Shoalhaven Signature, Dolphins of Mollymook, Radio 2ST, Power FM, South Coast Leisure Times, Ulladulla Printing Services, Ulladulla Shopping Centre, Bartercard South Coast and Highlands, Hayden’s Pies, Lucky Freshest Seafood and Harbour View apartments Ulladulla. Milton Ulladulla Rotary is a non-profit organisation and raises money for charity, each year they approach the community for financial help as this is their only means of raising funds necessary to run the Festival. And each year the community pulls together and very generously donates to showcase Ulladulla to both locals and holidays makers alike. The Milton Ulladulla Rotary Club thanks all our sponsors and supporters, we urge the community to avail themselves of the goods and services these businesses have to offer. The Milton Ulladulla Rotary Club have been organising the Ulladulla Blessing of the Fleet Festival for over ten years and the men and women in Milton Ulladulla Rotary make time in their business schedule, spending hundreds of hours to make this event possible. 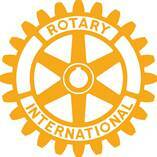 The financial support of all our sponsors and supporters is gratefully accepted and makes it possible for Milton Ulladulla Rotary Club to run the Festival. For without their input, we could not afford to present the Festival event to make it as popular as it is today. To donate to the Blessing of Fleet crowdfunding campaign visit Horizon Credit Union, Ulladulla or make a transfer using your online banking: BSB: 802 124 Account number: 106 513. Name: Rotary Club of Milton Ulladulla Blessing of the Fleet. Reference: Your surname or Business name. 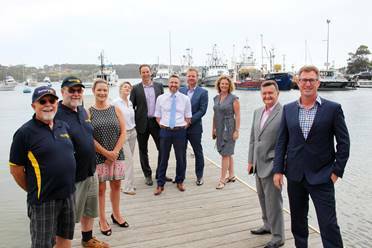 Horizon Credit Union has recently announced their gold sponsorship of Ulladulla’s premier community and tourism event of the Blessing of the Fleet Festival. “What better way to celebrate our community than to be a gold sponsor of the biggest event in Ulladulla. We’re thrilled to be a part of it” said Ulladulla Branch Manager, Kevin Whitford. Horizon will be sponsoring the Blessing of the Fleet Princess Ball on Saturday 17 March 2018. Horizon is Ulladulla’s only credit union and the only truly local South Coast financial institution with branches spanning the south coast of NSW. Ulladulla Branch Manager Kevin Whitford said Horizon offers similar services and facilities of the big banks but unlike the banks who return their profits to shareholders, credit union profits are returned to members in terms of lower interest rates, fair fees, better customer service and more competitive products. The Milton Ulladulla Rotary Club who organise the Blessing of the Fleet festival at Ulladulla are pleased with the announcement of Horizon coming on board for Easter 2018. The Blessing Of The Fleet Ball will be held on Saturday 1 April 2017. The Blessing Of The Fleet Parade will be held on Easter Sunday 16 April 2017.